I was trying to figure out what I could possibly post for August and then I discovered that today is Lefthanders Day. Since I happen to be sinistral myself (that means I’m left-handed, not evil), I thought it was my duty to post a left-handed picture of my fairy tale princess. 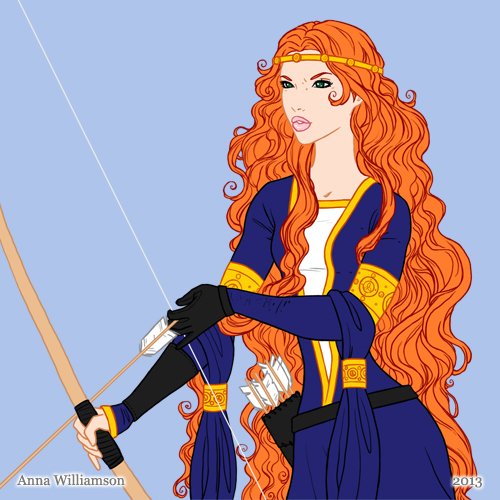 And how else could I illustrate her handedness except archery? I can’t wait to see your novel finished! Thanks! : ) I can’t wait to read yours too!